they believe also that it is unjust that some men die because it is too much trouble to arrange for them to live. John Boyd Orr, whose birth anniversary we mark on 23 September, was a medical doctor and biologist from Scotland concerned with the impact of poverty and malnutrition on health. He worked on food issues with the League of Nations and during the Second World War was deeply involved in food issues in Britain, especially focused on the needs of children and youth. From his experience with the League of Nations he saw the need for as large a group as possible to think of themselves as Citizens of the World. He wrote "Our civilization is now in the transition stage between the age of warring empires and a new age of world unity and peace...When the fabric of society is so rigid that it cannot change quickly enough, adjustments are achieved by social unrest and revolutions." 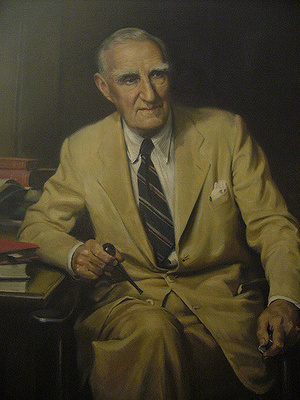 Lord John Boyd Orr was the first Director General of the Food and Agriculture Organization and Josué de Castro, served as the Independent Chairman of the FAO Council. 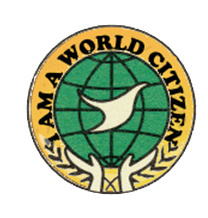 Both were active in the world citizenship movement and were leaders in calling attention to world hunger and the need for strong governmental action to provide food security. In 1946, Boyd Orr presented a proposal for a World Food Board which would be endowed with sufficient authority and funds to stabilize the world market in food and deal with food emergencies. He pointed out that several countries were already doing this for the domestic market but that the world market was subject to violent fluctuations. The plan for a world food board was rejected following the lead of the US delegate who said “Governments are unlikely to place large funds needed for financing such a plan in the hands of an international agency over whose operations and price policy they would have little direct control.” When the proposal was turned down by governments, Boyd Orr resigned from the FAO to devote himself to the world citizens’ movement and to work against the start of the East-West arms race that was literally “taking food from the mouths of the poor.” (1) He was awarded the Nobel Peace Prize in 1949 for his work on the role of food security as a crucial aspect of peace. In 1948 he had written the book Food: The Foundation of World Unity. Fortunately, there is a growing awareness that an integrated, holistic approach is needed. World Citizens stress that solutions to poverty, hunger and climate change crisis requirean agriculture that promotes producers’ livelihoods, knowledge, resiliency, health and equitable gender relations, while enriching the natural environment and helping balance the carbon cycle. . Such an integrated approach is a fundamental aspect of the world citizen philosophy.